For All Paws Sake – A Reason to Believe Animal Rescue, Inc.
A Reason To Believe Animal Rescue is delighted to be part of the For All Paws Sake Rescue/Transport Network. This is a wonderful network of approved shelters, pre-screened/approved rescues, transport coordinators, and trained volunteer drivers who help us to safely move our dogs to our partner rescues throughout the northeastern states. We are listing their information below in the hope that other volunteers, shelters, and rescues will join. By collaborating together, we can save more lives. Honestly, when the network’s founder first reached out to me several years ago offering to help, I thought it was a scam. But it turned out to be true and I’m very glad I didn’t just ignore that first message. They have helped me save SO many lives over the years! WV shelters & rescues seeking to transfer dogs out to other organizations, I highly recommend joining. We are currently seeking ALL BREED dog and cat rescues in MD, PA, NJ & CT to join our network! 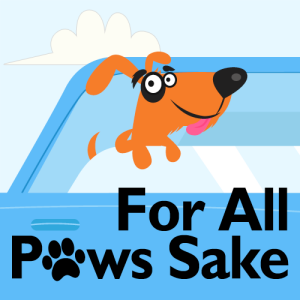 For All Paws Sake (FAPS) is not an official “business” or organization, but simply the name we have given to our collective network’s social media page and group, because when you set up a page on social media, you have to give it a name. We do have many 501(c)(3) non-profit member organizations. We are an all-volunteer shelter/rescue/transport network that moves dogs (and sometimes cats) from foster-based rescues and animal shelters to rescues throughout the northeastern states. Dog and cat rescues are welcome. We are very short on cat rescue assistance at this time. This network started in 2006 and over the years dozens of rescues, shelters, and volunteer drivers have joined us and now work collaboratively together to save lives. We have procedures in place to ensure the safety of both animals and drivers during transports. All shelters and rescues are screened before being admitted to this network (application links are below). We have strict procedures with regard to health requirements before animals can board our transports. We provide this in writing to all of our members. We also assist our member shelters by screening rescue applications for them (which avoids the redundancy of rescues having to submit applications to both the shelter and transport coordinator). If your application (linked below) is approved, we can give you access to this network, which will also give southern orgs the ability to send dogs north safely on regularly-scheduled transports and northern rescues can pull from the southern organizations within the network. Your part is communication. You must talk to our rescues on a regular basis about your dogs. We will only transport to rescues that have completed our screening process. If you are a southern organization wanting to send dogs north and you already work with some rescues that you would like us to help transport to, they must also submit the rescue application if they are not already a member of our network. We use a private group site to communicate between the shelters and rescues. Approved rescues and shelters are required to join this group. It is not a Facebook group, so you must use email to join. The sending organizations post their dogs/cats in need to the rescues via this group site. This group site is the lifeline of our network so it is imperative that you join once your application is approved. We have a public group: Click here to visit the group. We can also offer assistance to member rescues with home visits throughout the northeast via the rescues and drivers in our network. An independent volunteer screening team reviews/processes the rescue applications and checks the references and then sends them back to the transport coordinator and shelter you are applying to pull from. They do work full-time day jobs so this process can take several days to (rarely) a week to complete depending on how quickly your references respond. We appreciate your patience and understanding. It might help speed things up if you will notify your references in advance to respond to their emails regarding your application. References can jump start the process by sending their reference to plrapply@gmail.com. Rescue Application for any foster-based or “friends of the shelter” organization in WV, eastern KY, northern MD, PA, NJ, CT (also Baltimore and DC area rescues if you can pick up in Hagerstown MD on Saturdays). All receiving organizations must submit this application. All sending organizations that are foster-based rescues (regardless of your location) must submit this application. We can transport as far as New England. Shelter Application for sending county shelters, dog pounds, or humane society shelters with physical shelter buildings in WV, KY, or northern VA/MD. This application is only for organizations who have a physical shelter building and generally have open intake so are in dire need of rescue help. For the purpose of our network, you would be a sending organization, transferring dogs out to our receiving rescue members. All receiving organizations must submit the Rescue Application instead. It’s helpful if you can get your dogs to northern MD to meet us, but there are also possible hitch points in eastern KY, and several spots in WV when there’s space available in other shelters’ vans. Driver Application – We’re looking to expand our driver team! Anywhere from eastern KY to New England! Our transports are on Saturdays (WV/MD/PA/NJ) and Sundays (NJ/CT/MA). You do not need to be available every weekend. Any size vehicle is a help! Written training and email/phone mentoring is provided to all of our new drivers. Transport Coordinator Application – We’re looking to expand our coordinator team! If you’re detail-oriented and know how to motivate people, we’d like to hear from you. Seeking folks who are wizards at Google spreadsheets and Microsoft Word or Open Office documents. Great for retirees from an office environment who are great on computers and just want to volunteer from home! Reliable internet access and a laptop or desktop PC are mandatory for this position. We have detailed documentation to help you ramp up on our process. Foster Application – If you live anywhere from eastern KY to WV, to MD, to eastern PA, to northern NJ, up in New England or near Rayville, Louisiana and would like to foster dogs or cats, please submit this application and we will connect you with the rescue in our network that is closest to you. Volunteer Application – For anyone in the USA who wants to help in some way. If you can’t foster or drive, our member organizations can use people with these skills: fund raising, motivational speaking/writing, social media, blogging, accounting, data management, photography, video editing, and more. Sponsors/Supporters, please follow For All Paws Sake on Facebook. We post urgent needs there and also on our Facebook group. Contact For All Paws Sake.